Projections by Harvard’s Leading Indicator of Remodeling Activity suggested that home remodeling spending during 2013 would approach an increase of more than 21% from the lows in 2011. But though spending overall is up, that does not mean that every homeowner looking to renovate is simply going out and hiring contractors to do expensive additions and upgrades. Saving money is still important, so many are looking for DIY home plans that allow them to avoid the high costs of contractors and builders. However, reduced cost is hardly the only benefit of beginning DIY home remodeling projects. Unless a homeowner has a particularly challenging career, the opportunity to use both hands and brains in sync with each other can be quite rare. Good DIY home plans and design ideas give homeowners the opportunity to put in a little effort on a problem and deal with problems as they arise. As a result, completing projects can be quite rewarding and a great source of pride. Interior designers and contractors have the skills and experience to not only handle the physical labor, but also to come up with unique design ideas. However, it is not uncommon for homeowners and contractors to disagree about what direction a project should go. By putting in the effort to complete DIY projects, you do not have to listen to any other ideas and are free to proceed how you see fit. To some, a table is a table, a chair is a chair, and a new countertop is a new countertop. However, if a homeowner takes the time to find some DIY home improvement ideas and do all of the work on their own, they could end up getting a bit of a deeper appreciation for new items and upgrades. Plus, the work that a homeowner does can prove to be an expression of themselves, and something that they are quite proud to showoff when they have guests over. 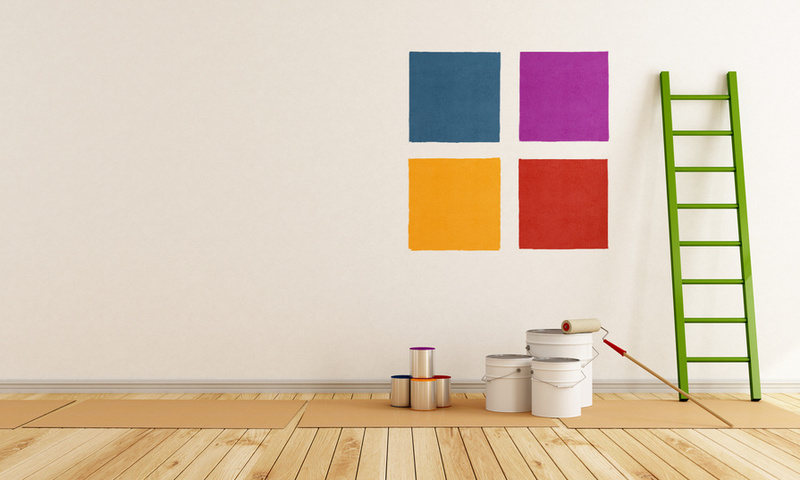 Doing home projects on your own could lead you to the path of discovering others who have similar hobbies and interests. While finding friends is certainly not a main reason to begin DIY projects, it can be a nice added benefit. Whether you run into someone at a hardware store or join a forum where people share there ideas and projects, joining the community of DIYers can be quite fun. Before taking on challenging DIY home plans, homeowners first need to decide if they have the skills and experience to complete them. Lots of home renovations go unfinished when problems develop because homeowners simply don't know how to overcome them. So being responsible about starting projects is always a must.